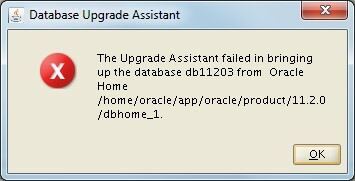 While upgrading Oracle database 11g to 12C via DBUA we came to know that the Packages and Types component is in invalid state in Dba_registry. Below are the errors seen from DBUA as well as command line while upgrading. 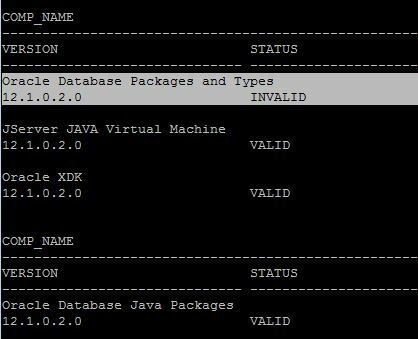 The probable causes for dba_registry components became invalid could be any of the following. 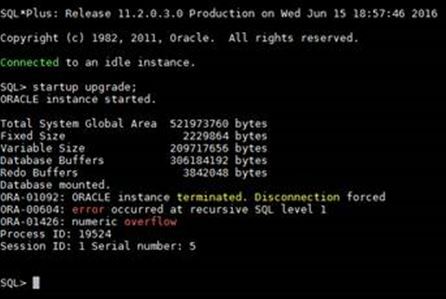 Shutdown your database in the normal mode and startup with the normal mode.